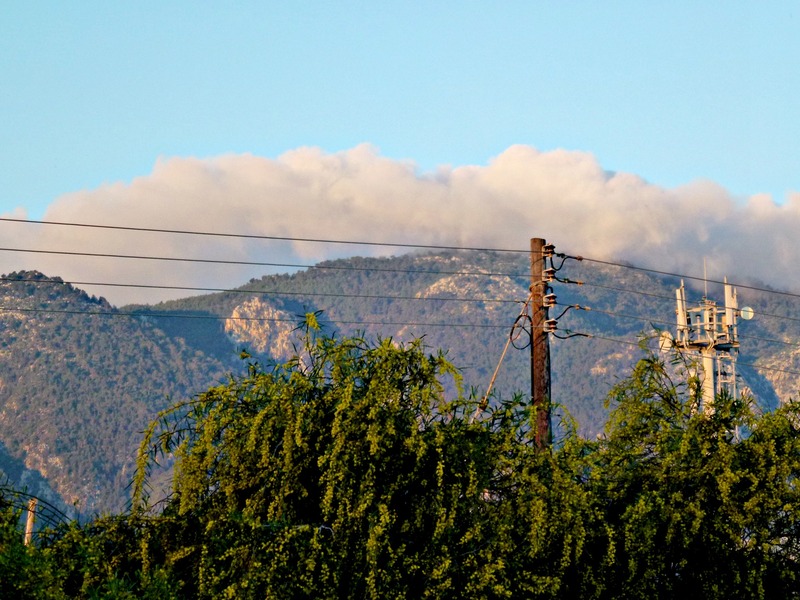 My husband knows I like taking photos of clouds, sunsets, sunrises and so on, and called me out late yesterday evening to take a photo of a rather magical looking cloud over the Besparmak Mountain Range which runs parallel to the coast of North Cyprus, about 10 minutes from where we live. 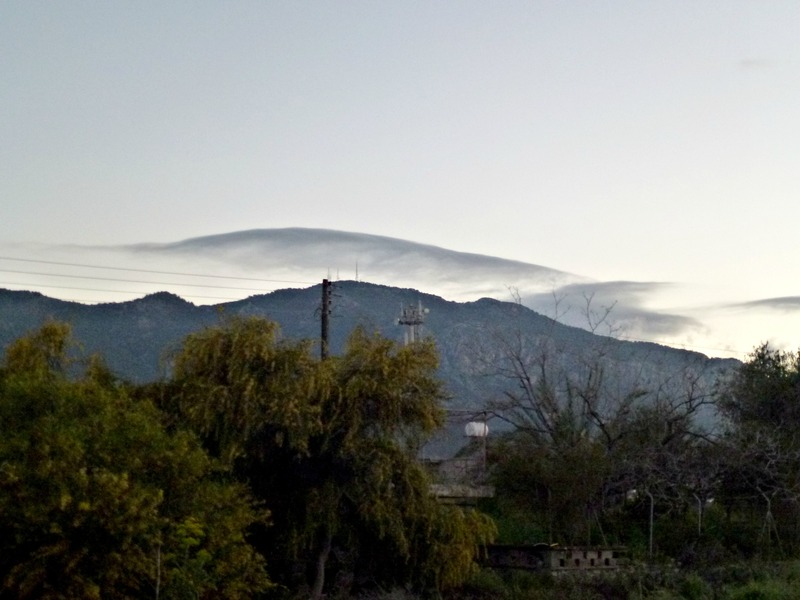 It looks as if there’s a layer of cloud then another mountain peak but it’s actually a grey cloud formation. 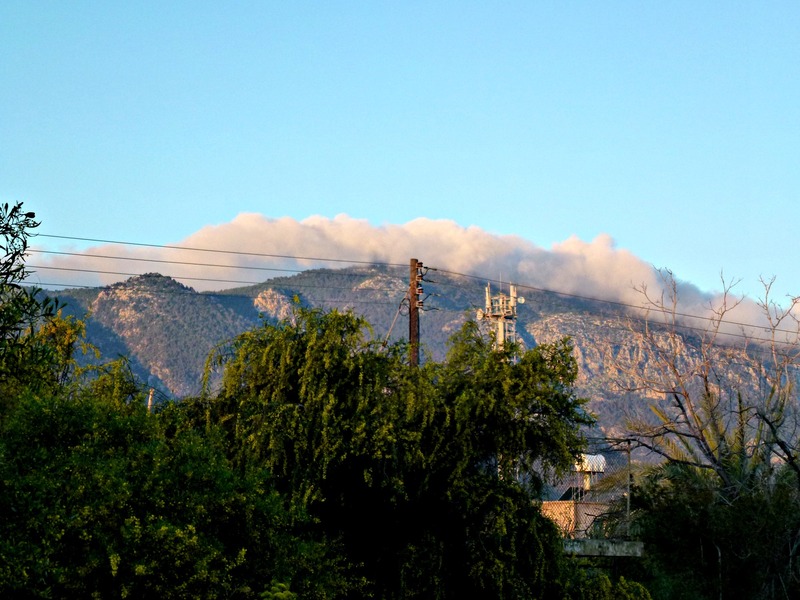 Layer of cloud, not another mountain peak. 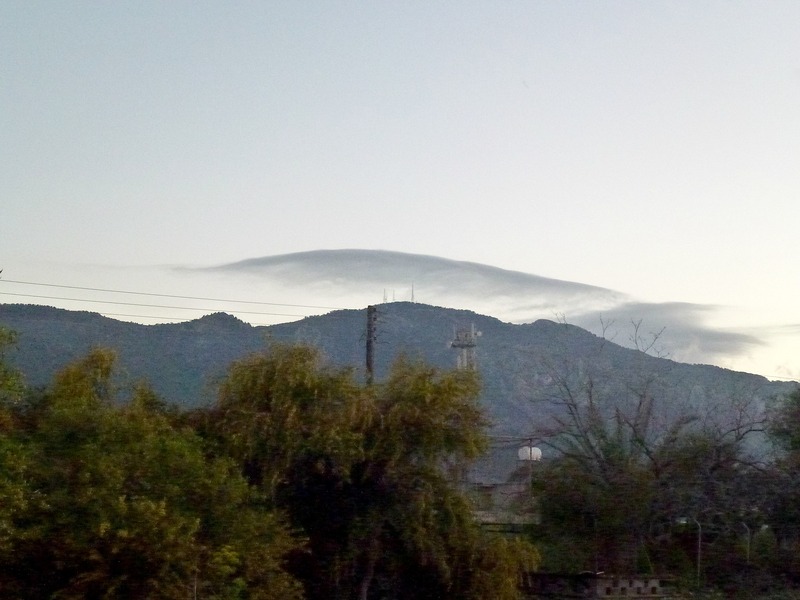 Then I got up at 7.30 this morning and got photos of another cloud formation in the rising sun. 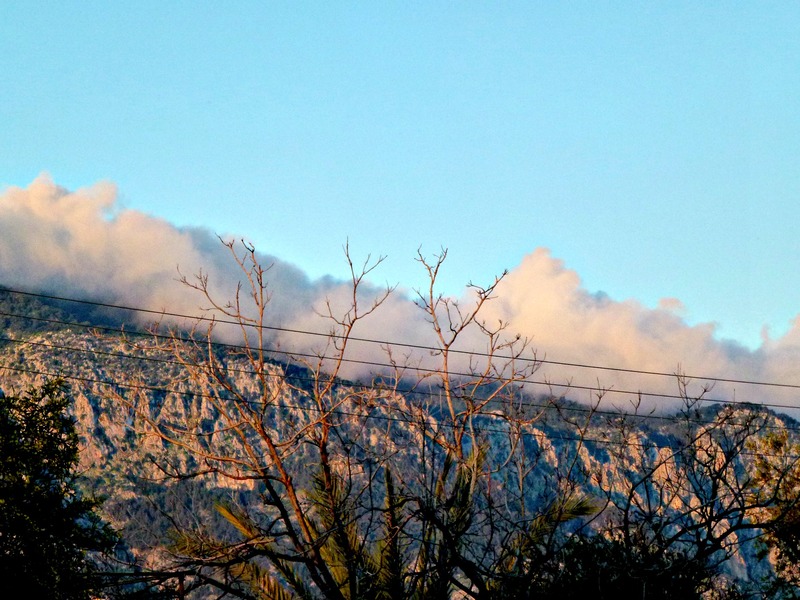 You often see cloud hovering at the top of the mountain range as on-shore winds stop the cloud descending onto the coast strip. One cloud formation a couple of weeks ago looked amazing – like breakers on a shore as the wind lifted them and curled them back on themselves. SO pretty! I haven’t watched enough clouds lately. Maybe I’ll schedule Saturday for cloud watching and more retail therapy. hope all is well! You see some amazing cloud formations here, Tammy, perhaps because it’s an island. And yes, had a grand time in the UK and now planning a get-fit regime, I was appalled at my limited mobility in London. Yes, it’s starting to warm up a bit now and by the end of this month it’s usually clear, blue skies right through until November. However, we’ve had a lot of rain this winter which is terrific as we were in drought last summer. Hopefully water reserves last a bit longer this year.